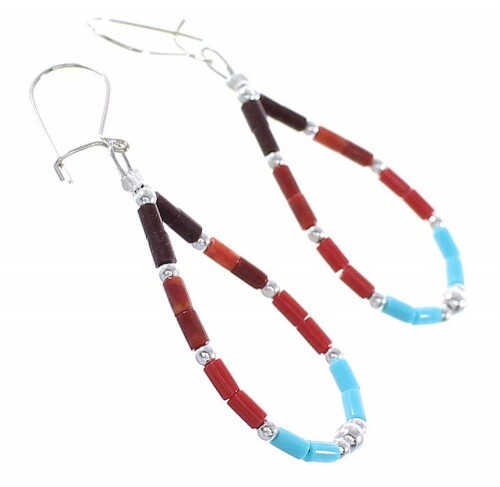 Sterling silver, man made Turquoise, Coral, Sugilite, and Red Oyster Shell. 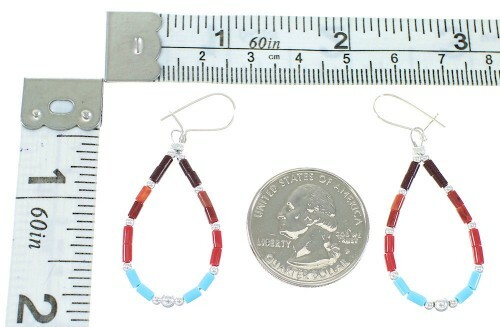 Hook dangle earrings measures approximately 1-7/8" long (including hook) and 3/4" at widest point. 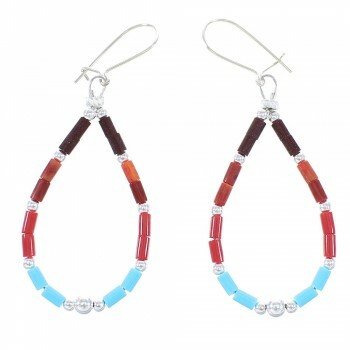 Expect plenty of compliments while wearing this stunning pair of earrings! The earrings are hand strung out of genuine sterling silver and man made Multicolor beads. The earrings consists of: 2-mm Turquoise, Coral, Sugilite, and Red Oyster Shell heishi beads, along with 2-mm and 3-mm silver round beads.